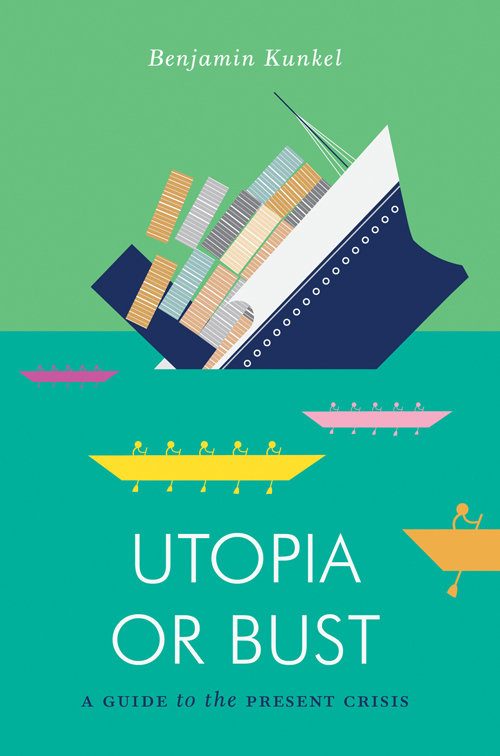 All this week we will be bringing you an exclusive serialisation of the opening chapter of Benjamin Kunkel's Utopia or Bust. In the chapter entitled 'David Harvey: Crisis Theory', Kunkel begins his examination of the world of Marxist thought and the basis of Western society today with an exploration of Harvey's body of work and contribution to post-Marxian theory. Such seeds sowed one of the most fertile fields in Marxist economics. Over recent decades, the landmarks of Marxian economic thinking include Ernest Mandel’s Late Capitalism (1972), David Harvey’s Limits to Capital (1982), Giovanni Arrighi’s Long Twentieth Century (1994), and Robert Brenner’s Economics of Global Turbulence (2006), all expressly concerned with the grinding tectonics and punctual quakes of capitalist crisis. Yet little trace of this literature, by Marx or his successors, has surfaced even among the more open-minded practitioners of what might be called the bourgeois theorization of the current crisis. The term bourgeois will seem apt enough if we note that a recent and distinguished addition to the long shelf of books on the crisis, Nouriel Roubini’s Crisis Economics, summons as its audience not only “financial professionals,” “corporate executives” and “students in business, economics and finance,” but also—exhausting the list—“ordinary investors.” No one, in other words, who is unmotivated by gain. Maybe it’s to be expected, then, that the Marx celebrated by Roubini and his coauthor Stephen Mihm, in a résumé of earlier theorists of crisis, appears as a mere herald of continual disruption rather than as an economist who located at the heart of such crises the existence of bourgeois society as such, or the social cleavage between profit-seekers (financial professionals etc.) and wage-earners: the fatal schism, in other words, between capital and labor. Roubini goes no further than to quote the same ringing lines of the Manifesto that appear in Foreign Policy. Here again is the resemblance of capitalism to “the sorcerer who is no longer able to control the powers of the nether world whom he has called up by his spells.” Credited with the alarming but vague insight that “Capitalism is crisis,” Marx then departs the scene. Since the publication of The Limits to Capital in the second year of the Reagan administration and at the dawn of what has come to be known as the financialization of the world economy, the dual movement of Harvey’s career has been to return time and again to Marx as a teacher, and to extend his own ideas into new and more empirical territory. The most substantial of his recent books, Paris, Capital of Modernity (2003), described the city’s forcible modernization by Baron Haussmann as a solution to structural crisis — “The problem in 1851 was to absorb the surpluses of capital and labor power”—and situated this urban transformation within the renovation of Parisian society and culture it induced. The mention of space is considered. 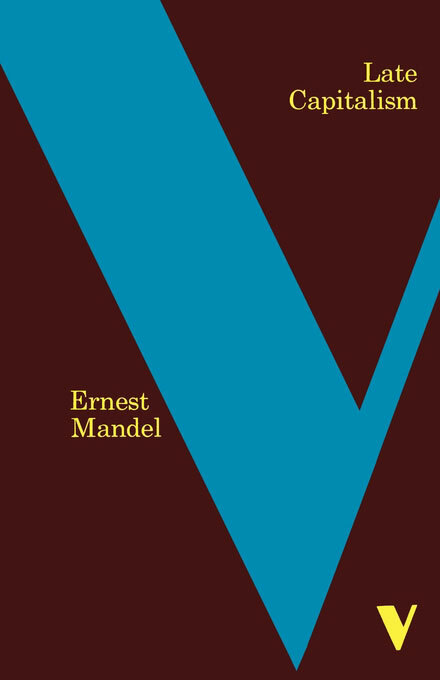 Harvey received his doctorate in geography rather than economics or history—his first, non-Marxist book was taken up with differing representations of space—and the whole thrust of his subsequent work, alert to the unevenness of capitalist development across neighborhoods, regions, and nation-states, has been to give a more variegated spatial texture to the historical materialism he would prefer to call “historical-geographical materialism.” In a sense, the emphasis confirms Harvey’s classicism. 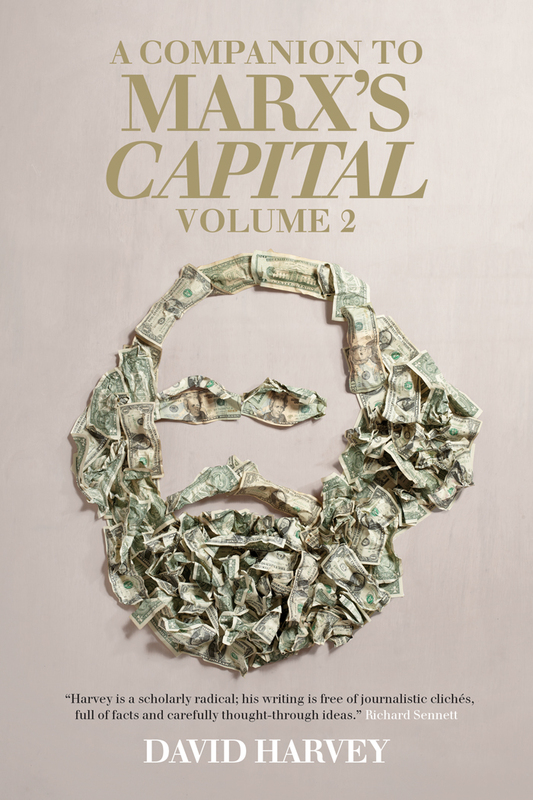 Marx himself somewhat curiously concluded the first volume of Capital—a book otherwise essentially concerned with local transactions between capital and labor, illustrated mostly from the English experience—with a chapter discussing the “primitive accumulation” of land and mineral wealth attendant on the European sacking of the Americas. 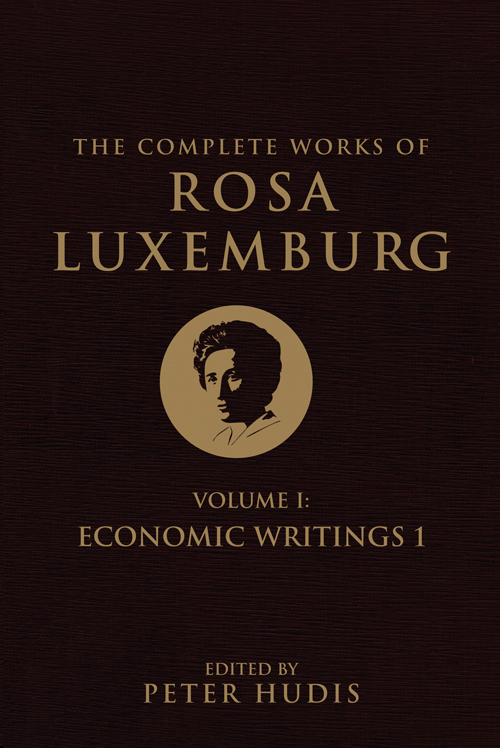 In the same way, Rosa Luxemburg, Marx’s first great legatee in the theory of crisis, insisted in The Accumulation of Capital (1913) that imperial expansion across space must accompany capital accumulation over time. Without the prizing open of new markets in the colonies, she argued, metropolitan capitalism would be unable to dispose profitably of its glut of commodities, and crises of overproduction doom the system. It’s not, however, until the last third of The Limits to Capital that the spatial implications of Harvey’s project loom into view. The book starts as a patient philological reconstruction, from Marx’s stray comments, of a Marxian theory of crisis. The method is fittingly cumulative as, from chapter to chapter, in lucid, mostly unadorned prose, Harvey adds new features to a simple model of the “over-accumulation of capital.” And over-accumulation remains in his later work—including The Enigma of Capital—the fount of all crisis. The term may seem paradoxical: what could it mean for capital to over-accumulate, when the entire spirit of the system is, as Marx wrote, “accumulation for accumulation’s sake”? How could capitalism acquire too much of what it regards as the sole good thing? *This was to miss Zombie Capitalism (2009) by Chris Harman, the late British Trotskyist. 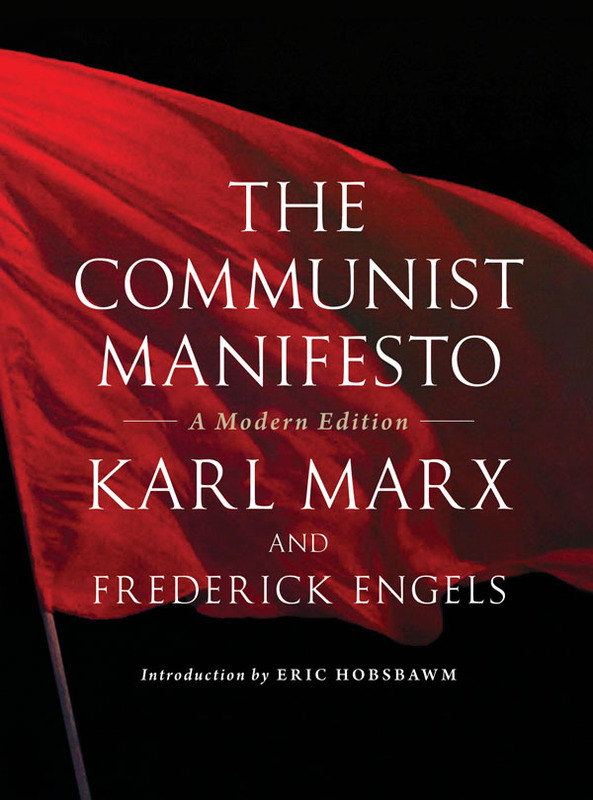 Harman integrates Marxian theory with a history of capitalist crises from the nineteenth century to that of 2008, which erupted after he had started his book, and is a particularly lucid exponent of the theory of the falling rate of profit. Over-accumulated capital can be defined as capital unable to realize the expected rate of profit. Whether in the form of money, physical plant, commodities for sale, or labor power (the latter being, in Marx’s terms, mere “variable capital”), it can only be invested, utilized, sold or hired, as the case may be, with reduced profitability or at a loss. Over-accumulation will then be variously reflected in money hoarded or gambled rather than invested; in underused factories or vacant storefronts; in half-finished goods or unsold inventories; and in idle workers, even as the need for all these things goes unmet. In such cases, the most basic of the contradictions Marx discovered in capitalism—between use value and exchange value—reasserts itself. For at times of crisis, it’s not that too much wealth exists to make use of—in fact, “too little is produced to decently and humanely satisfy the wants of the great mass”—but that “too many means of labor and necessities of life are produced” to serve “as means for the exploitation of laborers at a certain rate of profit.” A portion of the over-accumulated capital will then be devalued, until what survives can seek a satisfactory profitability again. Thus asset prices plunge, firms go bankrupt, physical inventories languish, and wages are reduced, though this devaluation is no more equally divided among the respective social groups (rentiers, industrialists, merchants, laborers) than prosperity was during the good times. On Harvey’s account, standard in this respect, the risk of over-accumulation is intrinsic to the capitalist pursuit of “surplus value.” The temptation is to say that surplus value is merely Marx’s name for profit, but this would be to assume success where there is only speculation: surplus value (in commodities) can be realized as a profit (in money) only in the event of a sale, and this is the rub. A capitalist, in order to produce, must purchase both means of production (Marx’s “constant capital”) and wage-labor (or “variable capital”). After this outlay—C+V in Marx’s formulation—the capitalist naturally hopes to possess a commodity capable of being sold for more than was spent on its production. The difference between cost of production and price at sale permits the realization of surplus value. The production of any commodity, as well as the “expanded reproduction” of the system itself, can thus be described by the further formula C+V+S: to a quantity of constant capital, or means of production, has been added a quantity of variable capital, or labor power, with a bonus of surplus value contained in the finished commodity. The trouble is already there to see. Imagine an economy consisting of a single firm which has bought means of production and labor power for a total of $100, in order to produce a mass of commodities it intends to sell for $110, i.e. at a profit of 10 percent. The problem is that the firm’s suppliers of constant and variable capital are also its only potential customers. Even if the would-be buyers pool their funds, they have only their $100 to spend, and no more. Production of the total supply of commodities exceeds the monetarily effective demand in the system. As Harvey explains in The Limits to Capital, effective demand “is at any one point equal to C+V, whereas the value of the total output is C+V+S. Under conditions of equilibrium, this still leaves us with the problem of where the demand for S, the surplus value produced but not yet realized through exchange, comes from.” An extra $10 in value must be found somewhere, to be exchanged with the firm if it is to realize its desired profit. Harvey is not adding to Marx here: his achievement is to piece a heap of fragments into a coherent mosaic. And for his reconstructed Marx, the end of capitalism—or at least its latest stage, of globally integrated finance—lies in its beginning. What is sometimes called the system’s GOD imperative, for Grow Or Die, entails from the outset the development of finance as the earnest of future production. Finance and production, production and finance, can then chase each other’s tail until together they have covered the entire world (or exhausted the tolerance of the working class). Marx proposed that “the tendency to create the world market is directly given in the concept of capital itself,” and Harvey glosses the idea: “The necessary geographical expansion of capitalism is... to be interpreted as capital in search for surplus value. The penetration of capitalist relations into all sectors of the economy, the mobilization of various ‘latent’ sources of labor power (women and children, for example), have a similar basis.” Hence both the involution and the imperialism of capital, commodifying the most intimate of formerly uncommodified practices (education, food preparation, courtship) as well as sweeping formerly non-capitalist regions (China and Eastern Europe) into the global market. 'A proper allocation of credit can ensure a quantitative balance between them. The gap between purchases and Sales… can be bridged, and production can be harmonized with consumption to ensure balanced accumulation. In the case of real estate, it might happen—as it has—that more building and selling of houses has been financed than can actually be paid for with income deriving, in the last instance, from production. So the credit system that had seemed to insure against one kind of over-accumulation (of commodity capital) by advancing money against future production now seems to have fostered another kind of over-accumulation (of fictitious capital) by promising more production than has occurred. More housing has been created than builders can sell at a profit; more mortgage debt has been issued than can be repaid, through wage income, to ensure the lenders’ profit; homeowners who took out loans against the rising value of their property find that prices are instead plummeting; and with the collapse of the housing sector more money capital now lies in the hands of its owners than they can see a way to invest profitably. “The onset of a crisis is usually triggered by a spectacular failure which shakes confidence in fictitious forms of capital,” Harvey writes, and everyone knows what happens next. The flow of credit, at one moment lavished on all comers with the flimsiest pretext of repayment, at the next more or less dries up. In the resulting conditions of uncertainty, those without ready cash, forced to cough it up anyway, can be pushed into fire-sales of their assets, while those who do have cash prefer to save rather than spend it, so that the economy as a whole sinks toward stagnation. So far, so familiar. But what explains the special liability of capitalism to crises of disappointed speculation? And why should real estate so often be their privileged object? “Such speculative fevers are not necessarily to be interpreted as direct manifestations of disequilibrium in production,” Harvey says. “They can and do occur on their own account.” Yet “over-accumulation creates conditions ripe for such speculative fevers so that a concatenation of the latter almost invariably signals the existence of the former.” If capital has been over-accumulated, this means by definition that it can’t easily find a profitable outlet in increased production. The resulting temptation, Harvey suggests, with his emphasis on finance, will be for capital to sidestep production altogether and attempt to increase itself through the multiplication of paper (or digital) assets alone. The question that goes all but unasked in the more respectable literature on the crisis is why the opportunities for profitable investment looked so scarce in the first place. If capitalist crises are crises of profitability, Marxian theory ascribes diminished opportunities for profit to one of three underlying conditions. First, a profit squeeze may be induced by the excessive wage bill of the working class, so that capitalists lack enough income to invest in new production on a scale compatible with growth. This line of thought takes inspiration from Marx’s remark that wages are never higher than on the eve of a crash, and enjoyed a heyday of plausibility in the early 1970s, a bygone era of labor militancy, near full employment, and high inflation, allegedly spurred by the so-called wageprice spiral. 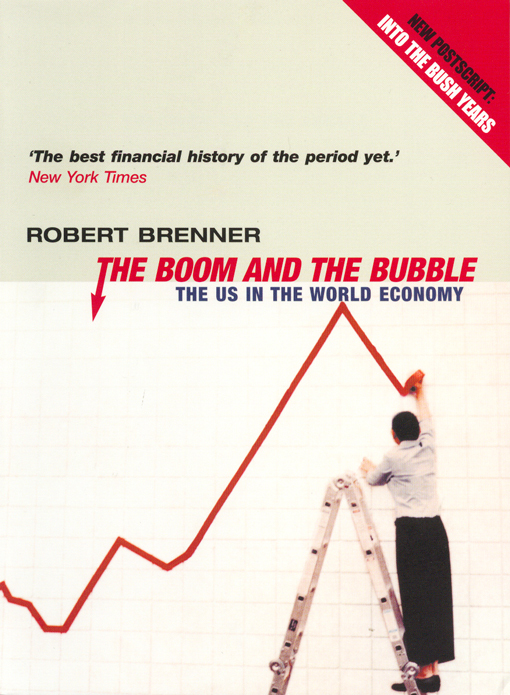 Robert Brenner disputes, however, that a profit squeeze imposed by labor truly afflicted the early 1970s, and doubts whether, given the superior mobility of capital over labor, such a profi t squeeze could ever take hold over the long run; capital would simply relocate to more docile markets. At any rate, what Brenner calls the Full Employment Profit Squeeze thesis hardly appears to caption the current picture of high unemployment and stagnant real wages across the developed world. A second condition is the tendency of the rate of profit to fall as a result of the “rising organic composition of capital,” or in other words the penchant, given increased technological and organizational efficiency, for using relatively less labor than capital in production. Since profitability reflects the “rate of exploitation”—or the ratio of the surplus value produced by the worker to the wages he receives—using less labor relative to capital diminishes profitability, unless capital goods become cheaper or exploitation is ramped up. This problem too can be solved, at least in principle: the capital/labor ratio can simply be rejiggered by deploying more labor relative to capital. Indeed, something like this seems to have occurred on the grandest scale in recent decades, through the rough doubling of the amount of labor available to capital with the proletarianization of huge populations in Eastern Europe and Asia. The effect, on one estimate, has been to reduce the global capital/labor ratio by 55–60 percent. Finally, and most plausibly today, theories of “under-consumption” argue that capitalism slips toward crisis because, by resisting wage growth, it deprives itself of the market, expanded by wage growth, it would need in order to profitably employ its swelling quantities of capital. Marx, in Volume II of Capital, is to the point: “Contradiction in the capitalist mode of production: the laborers as buyers of commodities are important for the market. But as sellers of their own commodity—labor power—capitalist society tends to keep them down to the minimum price.” Of course “a sufficient prodigality of the capitalist class,” as Marx called it, could in principle maintain eff ective demand at a level consistent with the steady expansion of the system, by substituting luxury consumption for the satisfaction of the population at large. * But this solution was never likely, since as Keynes observed, “when our income increases our consumption increases also, but not by so much. The key to our practical problem is to be found in this psychological law.” The worldwide defeat of labor since the 1980s, leading the wage share of GDP to fall throughout the capitalist core, along with the persistent inability of the higher reaches of the capitalist class, in spite of best efforts, to attain a level of expenditure proportionate to their wealth, makes an under-consumptionist analysis of the current crisis an appealing one, and suggests a possible convergence of Keynesian and Marxian views. Marxists tend to battle each other, often in the heroic footnotes native to the tradition, over the merits or defects of these differing explanations of crisis. Harvey’s own approach is catholic, all-encompassing. For him, the various strands of crisis theory represent, but don’t exhaust, possible departures from a path of balanced growth in finance and production. What unites the strands is the fundamental antagonism between capital and labor, with their opposing pursuits of profits and wages. If there exists a theoretical possibility of attaining an ideal proportion, from the standpoint of balanced growth, between the amount of total social income to be reinvested in production and the amount to be spent on consumption, and if at the same time the credit system could serve to maintain this ratio of profits to wages in perpetuity, the antagonistic nature of class society nevertheless prevents such a balance from being struck except occasionally and by accident, to be immediately upset by any advantage gained by labor or, more likely, by capital. So, as The Limits to Capital implies without quite stating, the special allure and danger of an elaborate credit system lie in its relationship to class society. If more capital has been accumulated than can be realized as a profit through exchange, owing perhaps to “the poverty and restricted consumption of the masses” that Marx at one point declared “the ultimate reason for all real crises,” this condition can be temporarily concealed, and its consequences postponed, by the confection of fictitious values in excess of any real values on the verge of production. In this way, growth and profitability in the financial system can substitute for the impaired growth and profitability of the class-ridden system of actual production. By adding over-financialization, as it were, to his model of over-accumulation, Harvey means to show how an initial contradiction between production and realization later “becomes, via the agency of the credit system, an outright antagonism” between the financial system of fictitious values and its monetary base, founded on commodity values. This antagonism then “forms the rock on which accumulation ultimately founders.” In social terms, this will take the form of a contest between creditors and debtors over who is to suffer more devaluation. The real originality of The Limits to Capital, however, is to add a new geographical dimension to crisis formation. From the need to realize ground rent stems capitalism’s whole geography of anxious anticipation. Capital over-accumulated in one place can flow to another which appears to boast better ultimate prospects of profit. Rising land values will shunt capital to new locations, at the same time that the resulting increase in rental costs compels a matching expansion of production, with its accompanying physical and social infrastructure. The relationship between credit and commodities is in this way translated into spatial terms as an uneasy rapport between one kind of capital, highly mobile or liquid, and another kind—“fixed capital embedded in the land”— defined by its very inertness. Here, in the latent conflict between migratory finance capital and helplessly stationary complexes of fixed capital, including not only factories and office buildings but roads, houses, schools, and so on, Harvey has found a contradiction of capitalism overlooked by Marx and his heirs. The contradiction may look at first like a brilliant solution to the problem of over-accumulation. Over-accumulated capital, whether originating as income from production or as the bank overdrafts that unleash fictitious values, can put off any immediate crisis of profitability by being drawn off into long-term infrastructural projects, in an operation Harvey calls a “spatio-temporal fix.” Examples on a grand scale would be the British boom in railway construction of the 1820s, the Second Empire modernization of Paris, the suburbanization of the US after World War II, and the recent international pullulation of commercial and residential towers. In each case, a vast quantity of capital, faced with the question of profitability, could as it were postpone the answer to a remote date, since investments in infrastructure promise such delayed returns. Meanwhile, transformed spatial arrangements swap old trades for new ones—Harvey notes that Haussmann’s Paris witnessed the extinction of the water-carrier and the advent of the electrician—or rejuvenate existing industries, like the postwar car manufacturers in the US. So what then are the “limits to capital”? Harvey’s answer, disappointing as it is honest, is that a system bent on over-accumulation will not collapse of its own top-heaviness. Should the world market fail to generate the ever-increasing surpluses that form its only rationale, it can always enlarge its borders and appropriate new wealth through what Marx called primitive accumulation and what Harvey proposes to call “accumulation by dispossession,” given that the process hardly ceased when the English peasantry was cleared off the land or the Incan Empire looted for its silver. The incorporation into the capitalist domain of non-capitalist territories and populations, the privatization of public or commonly owned assets, including land, and so on, down to the commodification of indigenous art-forms and the patenting of seeds, offer instances of the accumulation by dispossession that has accompanied capitalism since its inception. This field for gain would be exhausted only with universal commodification, when “every person in every nook and cranny of the world is caught within the orbit of capital.” Even then, the continuous “restructuring of the space economy of capitalism on a global scale still holds out the prospect for a restoration of equilibrium through a reorganization of the regional parts.” Spatial fixes and switching crises might succeed one another endlessly, in great floods and droughts of capital. Devaluation, being “always on a particular route or at a particular place,” might "serially scourge the earth even as capital in general, loyal to no country, remained free to pursue its own advantage." The real test of Harvey’s 1982 theory of crisis is how well it serves in the face of the thing itself. 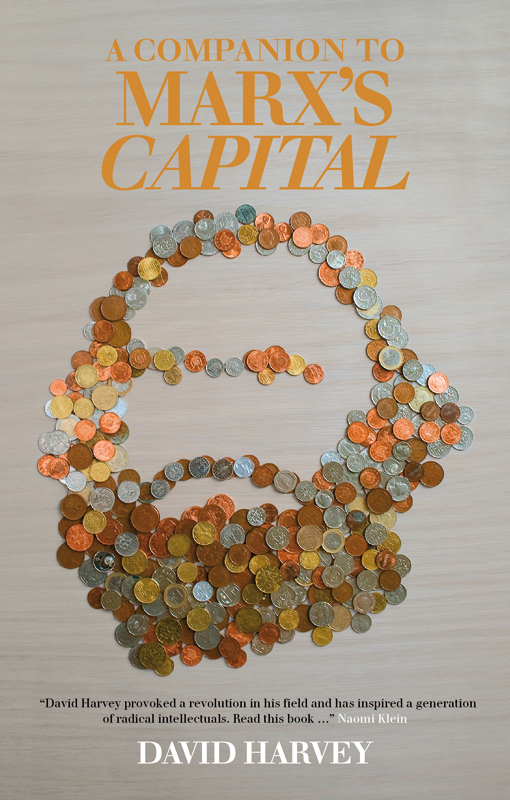 The Enigma of Capital can be read as an effort to meet the challenge. Naturally, its success or failure depends on whether it can offer a more comprehensive and persuasive account than rival theories. On the score of comprehensiveness there can be little doubt that Harvey’s work and that of other Marxists goes beyond the alternatives. “The idea that the crisis had systemic origins is scarcely mooted in the mainstream media,” Harvey writes, and that might be extended to include even the trenchant work of the neo-Keynesians. The crisis, after all, is that of a capitalist system, and no account of it, however searching, can be truly systematic if it neglects to consider property relations: that is, the preponderant ownership of capital by one class, and of little or nothing but its labor power by another. The neo-Keynesians’ “savings glut” can readily be seen as a case of what a more radical tradition calls over-accumulated capital. But it is the broader and more systematic Marxist perspective that ultimately and properly contains Keynesianism within it, and a crude Marxist catechism may be in order. 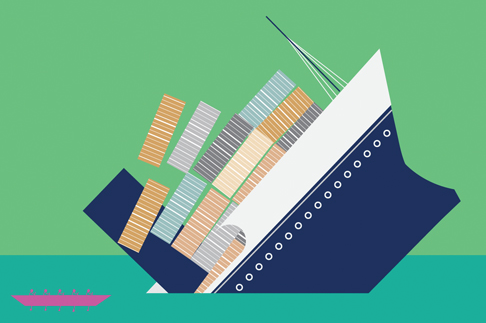 Where does an excess of savings come from? From unpaid labor—for example, that of Chinese or German workers. And why would such funds inflate asset bubbles rather than create useful investment? Because capital pursues not “high social returns,” but high private returns. And why should these have proved difficult to achieve, except by financial shell-games? Keynesians complain of an insufficiency of aggregate demand, restraining investment. The Marxist will simply add that this bespeaks inadequate wages, in the index of a class struggle going the way of owners rather than workers. 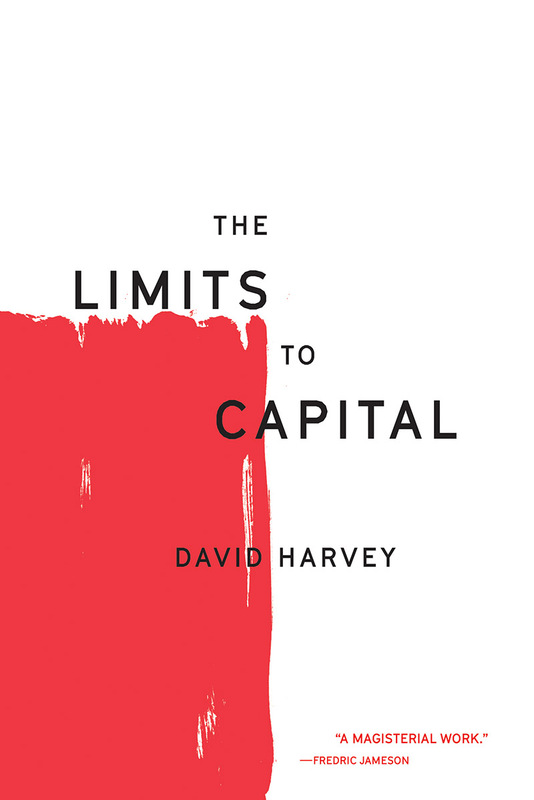 In The Enigma of Capital, Harvey coincides with other Marxists in locating the origins of the present crisis in the troubles of the 1970s, when the so-called Golden Age of capitalism following World War II—blessed with high rates of profitability, productivity, wage growth, and expansion of output—gave way to what Brenner called “the long downturn” after 1973. 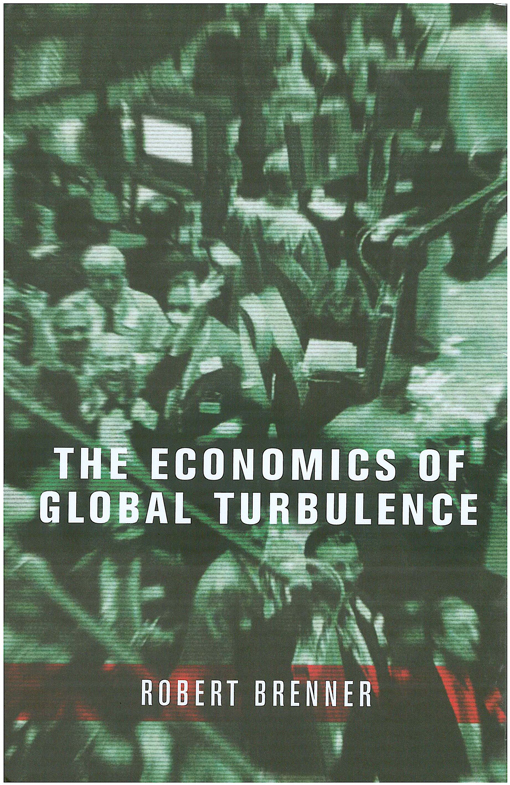 Brenner argued in The Economics of Global Turbulence that this long downturn, with deeper recessions and weaker expansions across every business cycle, reflects chronic overcapacity—another variety of overaccumulation—in international manufacturing, a condition brought about by the maturation of Japanese and German industry by the end of the 1960s, and later compounded by the industrialization of East Asia. As competition to supply export markets increased faster than those markets expanded, the price of international tradeables naturally fell, reducing both the profits of manufacturers and the wages paid to workers. Such impaired profitability moreover discouraged further investment in production, so that finance capital turned increasingly to speculation in asset values. Yet this view, however formidably presented, doesn’t appear to have won general assent. Harvey, content to follow Brenner elsewhere, inclines towards a more conventional profit-squeeze explanation of the crisis of the early 1970s. Not only Americans and Britons but the Irish, Spanish, and Emiratis live today among the ruins of a broken spatial fix. What, if any, switching crisis does this presage? To keep things simple, imagine the world economy of recent years as consisting of two capitalist countries—represented by the US and China—in both of which the working class, employed or unemployed, received too little of the total product for capital not to over-accumulate and risk massive devaluation. Chinese workers, deprived by wage repression and social insecurity (such as lack of health insurance) of the opportunity to consume much of their own output, saw the wealth accumulated through their labor go, in the form of their own savings and the income of their bosses, towards the construction of new productive capacity in their own country and a property boom in the other country. Both the new factories at home, turning out exports for the US, and the deliriously appreciating houses abroad rested on the premise of continuously rising American incomes. But among Americans, wage growth had ceased and household incomes could no longer be supplemented by the mass entry of women into the workforce, something already accomplished. The issuance and securitization of debt alone could substitute for present income. In the end, so much fictitious capital could not be redeemed. Whatever the destination of future Chinese savings gluts, they are unlikely to sponsor American consumption in the same way. 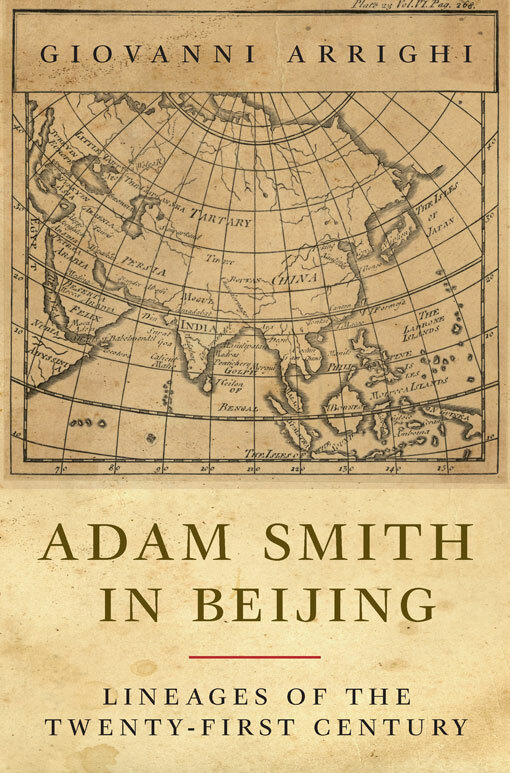 In his final book, Adam Smith in Beijing (2007), the late Giovanni Arrighi expanded on Harvey’s concepts of the spatial fix and the switching crisis to survey half a millennium of capitalist development and to peer into a new, perhaps Chinese century. 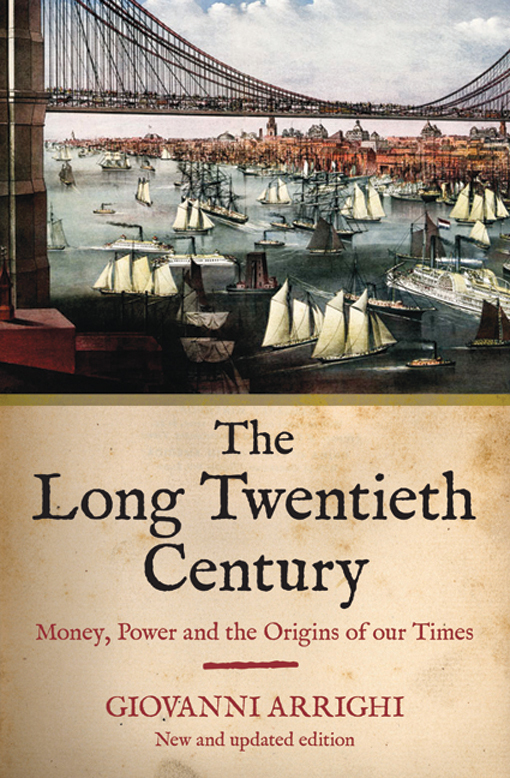 In Arrighi’s scheme of capitalist history, there have been four “systemic cycles of accumulation,” each lasting roughly a century and each organized on a larger scale than the one before, with a new polity at the center: a Genoese-Iberian cycle; a Dutch cycle; a British cycle; and an American one. A systemic cycle’s first phase, of material expansion, came to an end when the central power had accumulated more capital than established trade and production could absorb. This was followed by a second, financial phase of expansion in which capital over-accumulated at the center of the system promoted a new nucleus of growth. Ultimately the rising center came to finance the expenditures, often on war, that the old and now declining center could no longer cover out of its mere income. Otherwise inter-imperial war, the ultimate means of Competitive devaluation in The Limits to Capital, loomed once more. In the recently published Ecological Rift: Capitalism’s War on the Earth, John Bellamy Foster and his Marxist coauthors refer to the identification by a group of scientists, including the leading American climatologist James Hansen, of nine “planetary boundaries” that civilization transgresses at its peril. Already three—concentrations of carbon in the atmosphere, loss of nitrogen from the soil, and the overall extinction rate for nonhuman species— have been exceeded. These are impediments to endless capital accumulation that future crisis theories will have to reckon with. Harvey’s intuition of the ultimate demise of capitalism has also taken on an ecological coloring. “Compound growth for ever”—historically, for capitalism, at about three percent a year—“is not possible,” he declares in The Enigma of Capital, without much elaboration. The classical economists long ago foresaw that an economy defined by constant expansion would one day give way to what John Stuart Mill called the “stationary state.” The idea has gained a new currency in Marxist writing of recent years, and in its contemporary version tends to locate the limits to growth in the depletion of natural resources or in the exhaustion of productivity gains as the share of manufacturing in the world economy shrinks and that of services expands. Of course, peak oil or soil exhaustion might easily coincide with faltering productivity. Harvey doesn’t spell out why growth must have a stop, and the outlines of an ecologically stable and politically democratic future socialism remain as blurry in his later work as they do almost everywhere else. At the moment Marxism seems better prepared to interpret the world than to change it. But the first achievement is at least due wider recognition, which with the next crisis, or subsequent spasm of the present one, it may begin to receive. To learn more about Benjamin Kunkel, and his book Utopia or Bust, please visit the book page. Utopia or Bust forms part of our Jacobin series.